Belfast’s Carl “The Jackal” Frampton 24-1 (14) is looking to prove his doubters wrong when he takes on veteran four-division titleholder Nonito Donaire 38-4 (24) at the SSE Arena in Belfast, Northern Ireland on April 21. 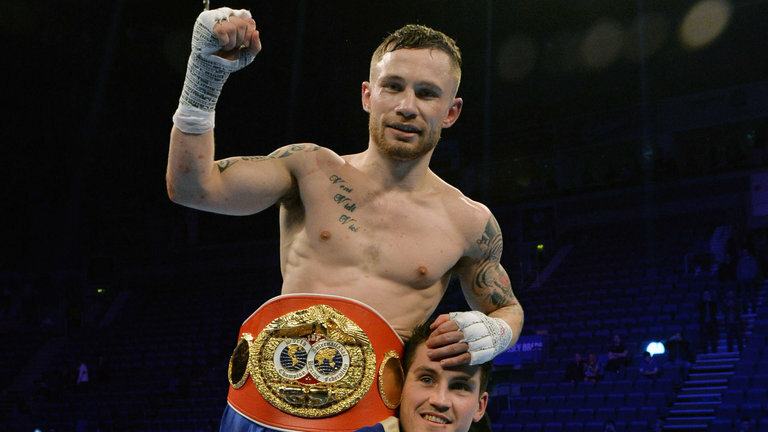 “I’m very lucky, I’ve got a fantastic support, a fantastic fanbase,” Frampton told the Irish News. “But I don’t kid myself, there are people who would love to see me fall flat on my face and they would take great joy out of it. Frampton, who split a pair of back-to-back fights against Leo Santa Cruz by majority decision in 2016-17, has seen some people relegate him to the trash heap after his lone loss. “You see it online, some people like to begrudge and they like to moan,” continued the 31-year-old. “Two fights ago I lost my title to Leo Santa Cruz and in the last fight I had a performance that was okay, but probably over criticised considering all the things that were going on in my life at the time. “People were quick to jump on. I lost fair and square but it was close against Santa Cruz and suddenly it was ‘Frampton’s done, he’s over the hill’. Frampton has had some memorable fights in his nine year pro career, but says that he needs to fight the well-known names in and around his division to cement his legacy. “I’m at the stage of my career where I need to be fighting names and Nonito Donaire (a four-weight world champion) certainly is a name,” said Frampton. “It’s a risky fight. Potentially I could have fought for a world title in the summer without fighting Donaire but when I do fight for a world title I want to be in a position to go and take it off a champion. I think beating someone like Donaire is going to help me do that.